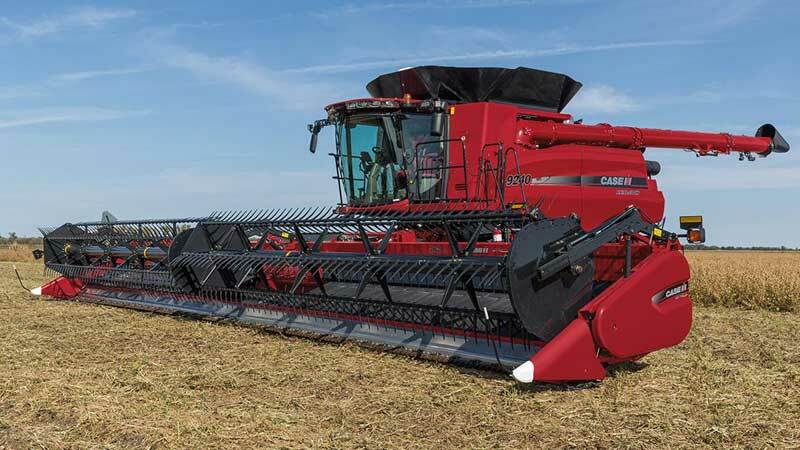 The combination of a wide range of cutting widths, matched draper delivery openings and variable draper speeds provides uniform crop flow into the combine for unmatched harvest performance. With today’s high horsepower Axial-Flow combines, faster harvest speeds, tougher crop genetics, and unpredictable harvest conditions, the 3152 and the 3162 series draper headers have been engineered to harvest more of what you plant at high productivity levels. Ranging from 25 feet to 45 feet there is a head for your application.